In only two novels, Anne Korkeakivi has become one of my favorite writers. Her debut, An Unexpected Guest, was an unexpected literary delight in 2013, a novel that managed to combine deep insight into characters and relationships, a surprising level of suspense, and supple, sensual prose into a stunner of a book. Much was made of the book’s re-vision of Virginia Woolf’s day-in-the-life classic, Mrs. Dalloway, butAn Unexpected Guest stood on its own two Ferragamo heels just fine. Korkeakivi returns in August with a completely different sort of novel, a family saga set in varying locales ranging from California and Arizona to the UK and Africa and spanning the years between World War II and 2015. 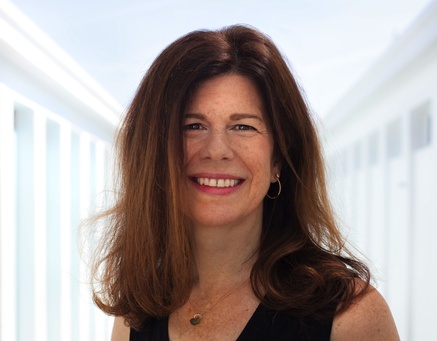 Across five “books” she immerses us in the life of the Gannon family, starting in 1962, when 43-year-old Michael Gannon, a WWII vet, suffers a fatal heart attack while painting the house. He leaves behind his beloved wife Barbara, four children, and an unborn baby girl. Death is the unexpected guest in Shining Sea, which explores the seemingly endless ripples Michael’s death — and war generally — causes in the following decades. The story moves in leaps and bounds through the years, using key social events to shade in the context of the family members’ lives and effective flashbacks to fill in key details from the intervening years. Barbara holds both the family and the story together with her unfailingly generous spirit. We learn how she and Michael met in a California military hospital when she nursed him through his recovery from the Bataan death march in the Philippines. Their love undergirds the family and the story even long after Michael has died. Korkeakivi uses his death and that of two other characters in and shortly after the Vietnam War to explore the long-term effects of war and the grief experienced at the loss of loved ones. Korkeakivi moves the plot across time and space as the story shifts focus from Barbara, who eventually remarries, to middle son Francis, a sensitive soul cast adrift by loss. We follow him to Woodstock, seven years after his father’s death, and later to London’s late 60s “groovy” scene and then to the Inner Hebrides islands off Scotland. Rebellious older daughter Patty Ann struggles with the consequences of repeated poor judgment but gives her mother a grandson whom she adores and who provides light at the end of this often dark novel. Ultimately, the family is spread across the world, from the California coast to the desert of Phoenix (where Barbara’s life is reborn through her marriage to a good but surprisingly complex man), from Europe and Africa to a secluded farm in rural Massachusetts. 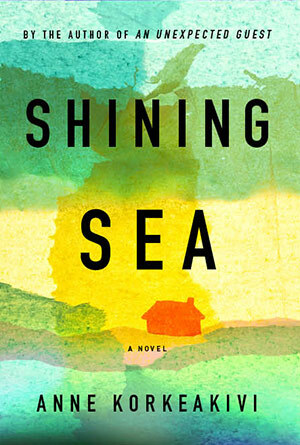 Shining Sea reminded me of a compressed version of Jane Smiley’s recent Hundred Years Trilogy (Some Luck, Early Warning, and Golden Age). While the latter covers twice as much time, concerns many more characters, and is written with far more detail, Shining Sea has a similar impact. In particular, the novel surprised me with its emotional punch. I was skeptical that Korkeakivi could write a family saga with serious issues at its core in less than 300 pages, but to a large degree she has succeeded. I cared about the key characters (and still do, as they wander around in my mind). The plot is compelling, with mysteries at the heart of a few subplots, and her prose is seamless and elegant without calling attention to itself. The key to the artistic success of Shining Sea is Korkeakivi’s ability to move the plot and develop her characters by implication; she displays a deft hand at knowing when to move quickly and allow the reader’s general knowledge to fill in the background and when to slow down and focus on the moments in the characters’ lives that will define them and affect us. I love your newsletter and the books you review. Would you consider reviewing my novel, Invincible Summers? I contacted you in June when the book came out. Unfortunately, Invincible Summer, by Alice Adams came out the same week as mine. What are the chances, right? I would love to send you a press release and some links to news and reviews about the book. Please let me know if you are interested. I’ve never heard of Anne Korkeakivi, but I have just added both of her books to my TBR list. Thank you for the recommendations! She’s a wonderful writer, very sophisticated in thought and expression, but not pretentious or overblown. I’ll be interested to hear your thoughts. Terrific review! Makes me excited to read the book. Thanks!